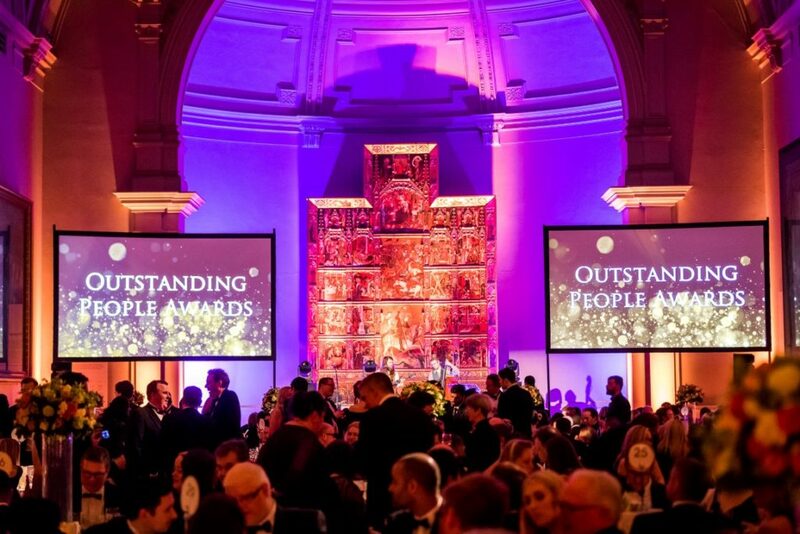 On helps financial services giant to deliver its annual employee awards - On Event Production Co.
We were once again delighted to work with one of our long-standing clients – a global financial services giant – to help it deliver its annual ‘Outstanding People Awards event. 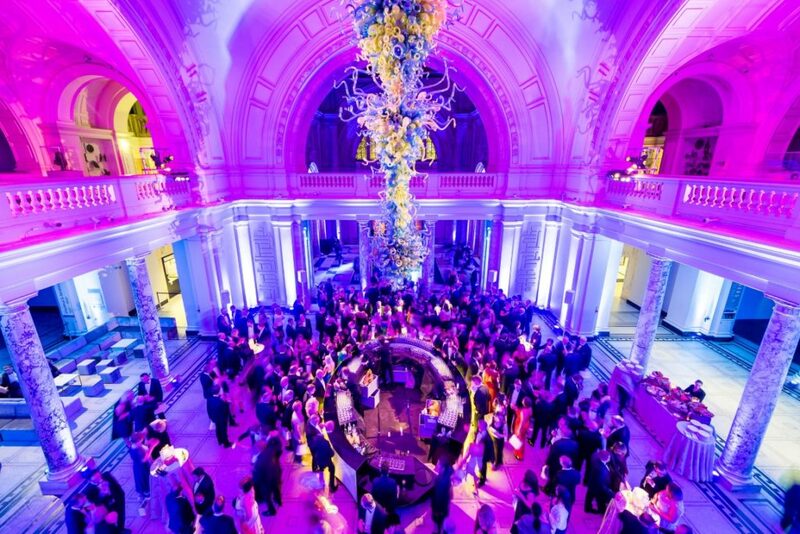 The business event, which took place at the V+A Museum, in London, is the client’s annual celebration of the successes and achievements of staff over the past 12 months. Creatives that we are, it was great to work on an event in such a prestigious and historic venue. The V+A is the world’s leading museum of art and design, housing a permanent collection of over 2.3 million objects that span over 5,000 years of human creativity. It holds many of the UK’s national collections and houses some of the greatest resources for the study of architecture, furniture, fashion, textiles, photography, sculpture, painting, jewellery, glass, ceramics, books, art and design, theatre and performance. 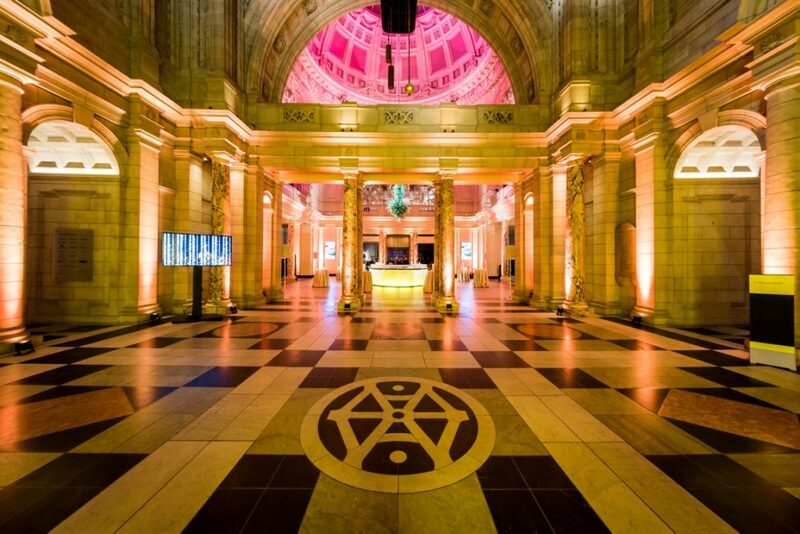 Working with the museum’s in-house AV team, we provided full production management for the event, with the brief of giving 300 well-deserved guests an evening to remember. The evening started with a pre-event drinks reception that was expertly dressed and lit by our on-site team. We produced a number of scenic items for the main stage, with high quality lighting, sound, video production and choreographed stings for the awards presentations. After the main event, we created tailored lighting and sound in the bar area so guests could enjoy some post-show mingling and music. Jake Moore, our production manager, said: “We’ve worked with this particular client for many years and have helped them to deliver some great events in some really interesting venues.